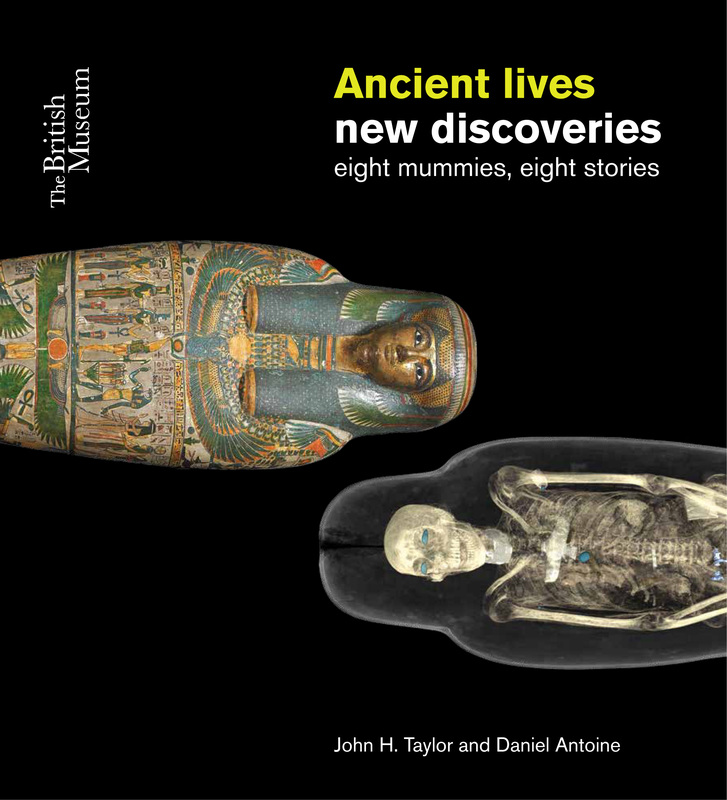 Book Review: Ancient Lives, New Discoveries: Eight Mummies, Eight Stories. The British Museum in London is currently playing host to the Ancient Lives, New Discoveries exhibition, from the 22nd of May to the 30th of November 2014, which focuses on the innovative use of non-destructive CT scanning to digitally unwrap and investigate eight individual mummies who spread the span of ancient Egyptian and Sudanese history. 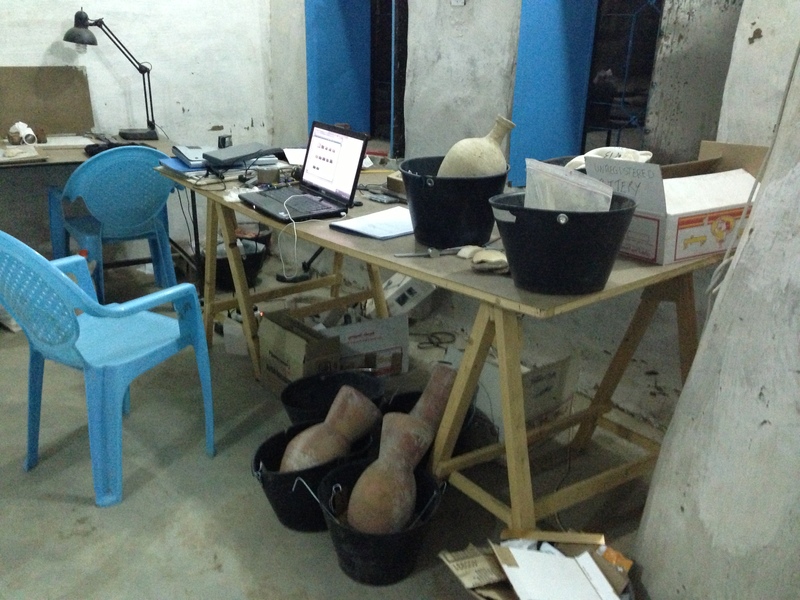 It is a unique opportunity to explore the individual bodies and mummy styles, from a naturally preserved desiccated corpse from 3500 BC, right up to the late richly decorated and individualised Roman period mummies of the 1st to 3rd centuries AD and the early Christian burials of Sudan from the 7th century AD. Taylor & Antoine (2014) have produced a publication (priced at £19.99) in conjunction with the current British Museum exhibition and it is this that shall be reviewed here, rather than the exhibition itself. 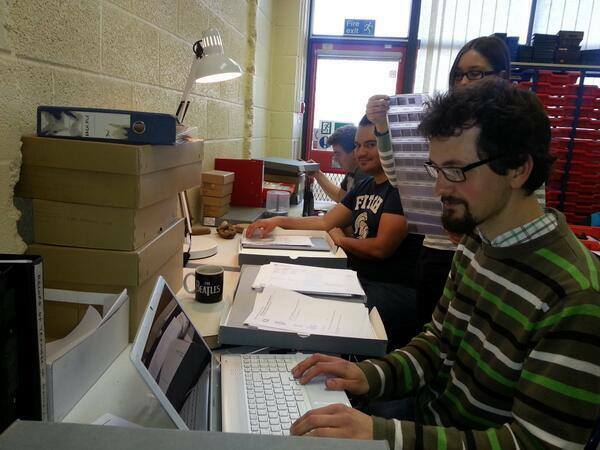 But first we are going to quickly delve in the tantalising world of the mummy in archaeology. The reader friendly yet relatively in-depth 192 page publication by Taylor and Antonio (2014) whets the appetite to learn more about Egyptian and Nile cultures. The front cover displays the painted case of Tamut and the CT of her body, Tamut was a priestess from Thebes circa 900 BC. Image credit: British Museum 2014. The mummified remains of humans retain a unique position in the popular perception of past civilizations, offering as they do a face to face fleshed representation of the human past. In the fleshed state the historic or prehistoric mummified individual helps to represent this version of the human past in an immediate biological projection, rather than through a secondary non-biological artefact, i.e. the individual is present. This representation however works in a variety of ways. The mummified person is, of course, the physical remains of an individual who had once lived, yet they also often actively represent the values of the culture that they came from (through the interpretation of the mortuary and funerary evidence and deposition contexts on a part of the archaeologist). The modern person who views or interacts with the mummy also projects their own views and feelings onto the mummified person by, for instance, their thoughts of displaying the dead (Alberti et al. 2009). Added to this is the fact that mummies are often seen as mysterious and filled with a silent potent dread, forever linked in the popular cultural mind with the supernatural wolf man or vampires of the Hammer horror films for instance, or remain linked with the so-called mythical curse of Tutankhamen. In short, the mummified remains of human beings are often emotive physical remains. Yet they remain popular with both members of the public in museums and with archaeologists and physical anthropologists in studying the remains of past individuals and populations. The preservation of soft tissues (including skin) can often highlight cultural practices or pathological evidence that do not survive in the skeletal record or remain undocumented in the written record (Panzer et al. 2014, Taylor & Antoine 2014). It also must be noted here that there are generally two processes of mummification that take place with human remains which are (a) active mummification of remains as practiced by humans, where the body of the deceased is prepared and preserved before final funerary deposition, and (b) accidental mummification, when the body is preserved through the luck of the burial environment. Examples of natural preservation include the fascinating Pazyryk kurgan burials in the Altai, who have some of the earliest physical evidence of tattoos, and the western European bog bodies of the Iron Age, whose soft tissues are preserved in acidic bog and marsh environments. The word mummy is itself a broad term, encompassing not just the classically bandaged Egyptian mummies but also the high altitude mummy bundles of the Inca, the Altai burials, and Tarim mummies of China, amongst many other known examples across the world. We think of these exotic locations when we think of mummies, but there is a growing body of evidence to suggest that the mummification of composite bodies (elements of individuals pieced together to form one and left above ground) took place during the British Bronze Age at a variety of locations (Parker-Pearson et al. 2005), and it may possibly have been a widespread mortuary phenomenon. The work by Parker-Pearson and others (2005) is throwing light onto a practice that has, so far, been relatively invisible in places that do not have a favorable climate or burial conditions to preserve mummified individuals intact. The purposeful mummification of the body then was a widely practiced process in both prehistoric and prehistoric contexts, practiced for a variety of reasons but it is often linked with the values held of an afterlife, of keeping the body as whole, lifelike and as safe as possible from decomposition (Alberti et al. 2009). Many mummies from ancient (and not so ancient) Egyptian contexts were often used in corpse medicine (and as paint) in the late European medieval period and many more were excavated, transported and unwrapped in the 17th and 18th centuries during the gradual development of scientific inquiry. It was in the 19th century that, in Europe, the unwrappings of mummies in both public and private contexts took off, as archaeological expeditions uncovered further named individuals at various sites and recordings were made of the anatomical aspects of the individuals that were unwrapped and dissected (Taylor & Antoine 2014: 17). It should be noted however that many surviving mummies in collections from this period often have little to no documented provenance or contextual information regarding their find location and often placed in sarcophagi that are not from the same period (Taylor & Antoine 2014: 155). Two important milestones in Egyptology stand out from this period. The first was the discovery of the Rosetta Stone in 1799, which allowed the decipherment of the hieroglyphic text and thus the history of Egypt, which sent the European public into a tailspin of ancient Egyptian frenzy allowing many museums to build up substantial collections which were not always legally acquired. The second was the advancement of medical science and the discovery and invention of the X-ray in 1890. Mummy unwrappings continued but have become rare in recent decades, carried out only when there is a real need to and often only by a multidisciplinary team. It is the use of X-rays and the development of CT scanning in the 1970’s (or CAT scan, computerized axial tomography) that has allowed non-invasive exploration of fragile mummies to produce 3D models that has really taken off, alongside the development of non-invasive biogeochemical sampling of mummy wrapping materials and mortuary substances (Panzer et al. 2014, Parker-Pearson et al. 2005). Regardless of this wealth of knowledge and investigation, the ancient Egyptians themselves never fully documented the process of mummification in any records that have survived. New techniques and on-going investigations are pushing back the boundary in understanding the origin and context of mummification however, as Jones et al. (2014) highlight in recent research in which the advent of purposeful Egyptian period mummification has been pushed back to over a thousands years before previously thought through study of the linen wrappings and resins used during the preservation process. As Fletcher & Buckley (in Vogels 2013) highlight the fact that mummies are often still misunderstood and little studied in the archaeological record and it is, they state, very possible that mummies thought to be naturally preserved may well have been embalmed or treated on purpose for the preservation of the body, particularly in South American contexts. The Ancient Lives, New Discoveries publication aims to highlight just what can be found using the latest in digital imaging technology on a selection of 8 human mummies from along the River Nile area. The British Museum archive holds a total of 120 mummified individuals altogether, collected stage by stage since the museums foundation in the 1750’s, whilst the majority of the mummies highlighted in this publication were collected in the 19th century (Taylor & Antoine 2014: 13). The period of intentional mummification by the Ancient Egyptians probably took place around the 2nd to 4th dynasties (3000 BC) right up until the Roman period of the fourth century AD. The individuals under consideration span the Predynastic period (5500-3100 BC) right up until the Medieval period of the 7th century AD, a clever chronological approach in understanding the longitudinal aspects of mummification in ancient Egypt and northern Sudan. The publication mixes the naturally mummified and the purposefully mummified, with the naturally preserved bodies of Gebelein Man B (3500 BC) from the Predynastic period and the anonymous 7th century AD tattooed medieval christian woman from Sudan both book-ending the publication. If you picture mummies you see Tutankhamen, his ornate golden mask adorning his young body. 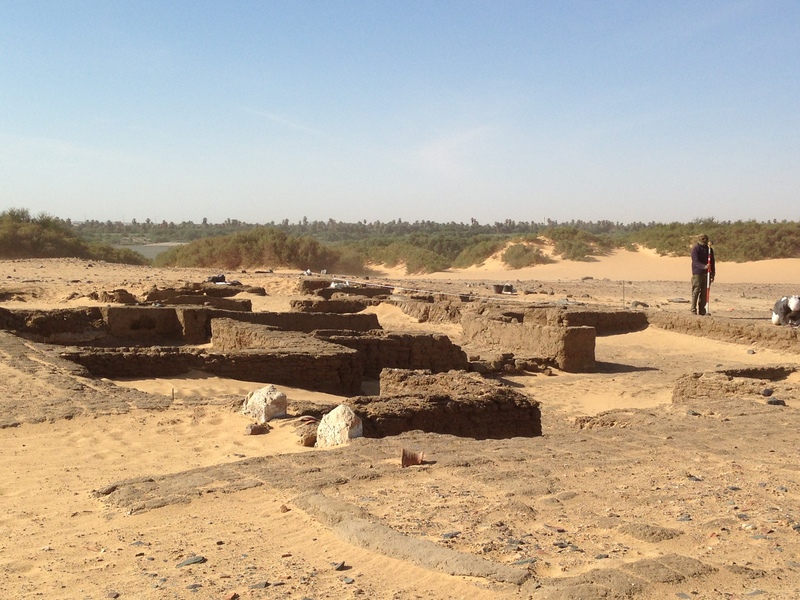 It may be a tired paradigm of Egyptian archaeology but this publication makes it clear that there was much more going on with regards to mortuary behaviour and funerary styles than is normally appreciated along the banks of the River Nile (Meyers 2014). Thus the cross-section of individuals studied here spans not just a wide chronological time but also includes male and female adults and juveniles of different ages. Alongside this the individual all come from different social groups and communities from villages, great temples and cities along the spread of the River Nile. What this publication highlights then is the both the great variety in mortuary behaviour within the practice of mummification, but also the individual stories of the persons under study (Taylor & Antoine 2014: 2). 1. Gebelein Man B (Male, adult, Gebelein, c.3500 BC). 2. Unknown Man from Thebes (Male, middle/older adult 35 years and above, Thebes, c.600 BC). 3. Tamut (Female, adult, Thebes, c.900 BC). 4. Padiamenet (Male, middle adult 35-50 years, Thebes, c.700 BC). 5. Tjayasetimu (Female, juvenile 7 ± 3 years, Thebes or Fayum area, c.800 BC). 6. Roman Period Male (Male, adult, Thebes, 1st to 3rd century AD). 7. Roman Period Juvenile (Male, 2 years ± 9 months, location unknown, c. AD 40-60). 8. Christian Woman from Sudan (Female, young adult 20-35, Fourth Cataract Sudan, c. AD 655-775). Although I will not discuss each and every individual above as it really is worth reading the book or visiting the exhibition if you can, I will highlight the Roman Period Male and Gebelein Man B as these are two mummies that really caught my attention. They also represent two different approaches in the mortuary and funerary treatment of the individual and the society that they came from. The Roman period male, below, is a particularly unique individual, stylized heavily to capture what the person looked like during his lifetime. The painted face of an unusual Roman period mummy dating from the c.1st to 3rd century AD. The adult male individual has several interesting features such as individually wrapped toes and fingers, padded thighs and breast area. It is likely that this is to represent the man as he was during life, possibly obese. 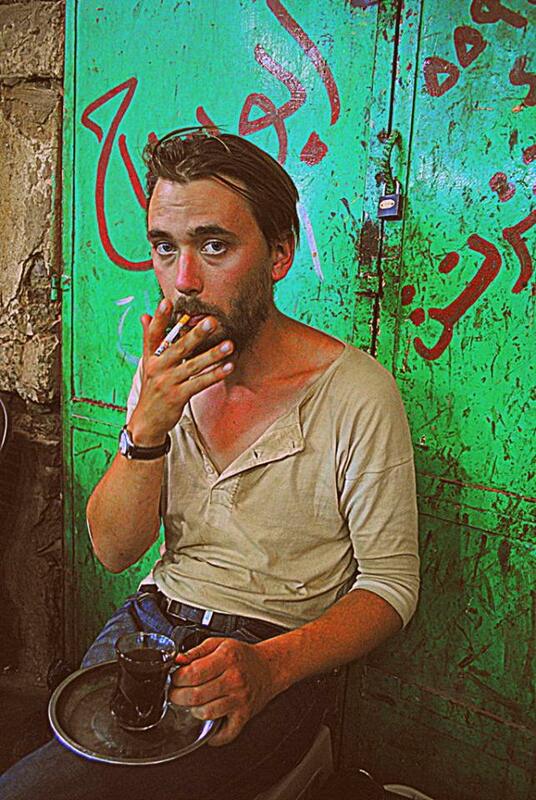 The black bands on his cheek are a standard stylistic representation of a beard. Image credit: British Museum 2014. Before the mummy had been CT scanned it was assumed for many years that the individual was a female due to the nature of the packing of the thighs and breast area. Analysis of the skeleton highlighted that he was in fact an adult male, who had a lot of unusual dental wear by the time he died. His incisors, canines and premolars showed heavy wear yet the molars have hardly any, although many of his molars had been lost ante-mortem. This is suggestive of a change in the way this individual ate, using his front teeth as molars to crush and grind his food (Taylor & Antoine 2014: 144). The way that this individual has been represented as a living individual on the front of his wrappings is a standard of the Roman period mummification, although many mummies also have encaustic life-like portraits painted on wood, often incorporated onto the bandages and packing of the mummy (the examples such as the Fayum portraits are well-known). It becomes evident quite quickly when reading the publication just how important the use of non-invasive scanning and imaging techniques are in the study of mummified individuals. Not only are the bodies themselves not disturbed but they can be digitally stripped back layer by layer, from the bandages to the bone to unveil the person underneath as last seen by the embalmers and mortuary workers who prepared the body and decorated it. As such the method highlights not just the soft tissue and skeletal anatomy but also the fabrics, packing and artefacts used and located on and within the mummy. It can also highlight ante-mortem and post-mortem damage to the mummified remains, as well as the mistakes of the embalmer. Padiamenet’s body, an adult male temple door-keeper from the 25th dynasty (c.700 BC), displays evidence that his head had become detached from his body during mummification. The scanning of his body highlighted two poles inserted into the chest are used to support the head, with evidence of the 3rd and 4th cervical vertebrae remaining slightly misaligned (Taylor & Antoine 2014: 105). Alongside this his coffin had to be extended, with linen wrap covering his protruding feet. Cartonnage cases and coffins were often mass manufactured, only personalised as and when the individual died. One of my personal favourites of the mummies investigated here is the naturally mummified body of Gebelein Man B, an adult male who died around 3500 BC in the Predynastic period. One of 6 natural mummies in the British Museum collection, Gebelein Man B was buried in a cemetery in Upper Egypt dating to the middle Predynastic period and lived in an era before Egyptian unification when chiefdom’s ruled the area. The area in which he was buried suggests that Gebelein was a relatively important local settlement who practiced mixed subsistence of agriculture (cattle, sheep, and goats) with the fishing, fowling and collecting of wild fruits and berries (Taylor & Antoine 2014: 36). 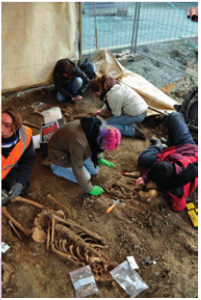 The burial site of Gebelein Man B have provided the only evidence, or expression, for religious belief as the body was placed in a formal grave, with evidence for the crouched body having been placed between mats and probable deposited with offerings which have subsequently been removed by grave robbers (Taylor & Antoine 2014: 38). 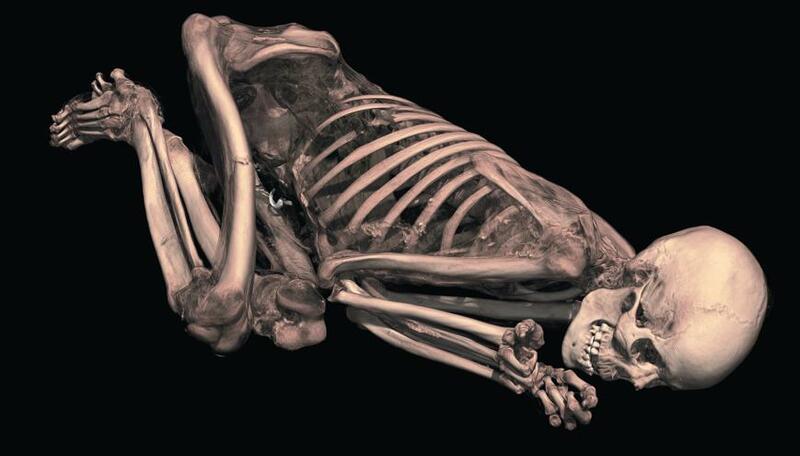 The skeleton and body of Gebelein Man B, an adult male and a natural mummification from c.3500 BC. 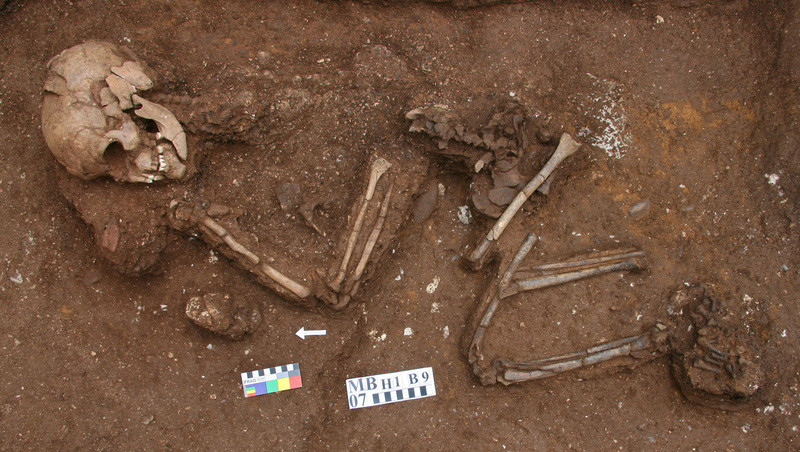 Notice the semi-circular unknown artefact towards the bottom of his torso and the fracture of the right femur and ribs, likely due to post-mortem movement or excavation. Fractures tend to break in a characteristic way when the person is alive (Taylor & Antoine 2014: 31). Image credit: British Museum 2014. Gebelein Man B lived during a period of change in which the introduction of writing was eventually introduced, but no name was recorded for any resident of Gebelein, thus this individual, unlike many in the book, remains nameless. His body is remarkably preserved for a body that has survived for over 5500 years, with his beard, nails and hair still in evidence. The teeth are lightly worn, the presence of fusion lines in the long bones and the pelvis (pubic symphysis) all highlight that he was in his early twenties when he died (Taylor & Antoine 2014: 33). Although the majority of the soft tissues have been preserved, the major organs have shrunk due to the desiccation process which must have been rapid to allow for such extensive preserve ration of his body. When mummification became intensely practiced in the Dynastic period of Egyptian and northern Sudanese history the organs were often removed, preserved and kept in canopic jars separate to the body, so the preservation in-situ of Gebelein Man B’s viscera may offer a rare chance to sample human health during this period. Perhaps most interestingly is the preservation of foodstuffs in both the stomach and the colon, which could allow analysis of the foods consumed during Gebelein Man B’s lifetime. Gebelein Man B (c.3500 BC) stripped back from the above image to reveal the soft tissues (in blue) still present in his cranium and torso. The tissue highlighted in his pelvis is likely to be remains of his last meal. Image credit: British Museum 2014. 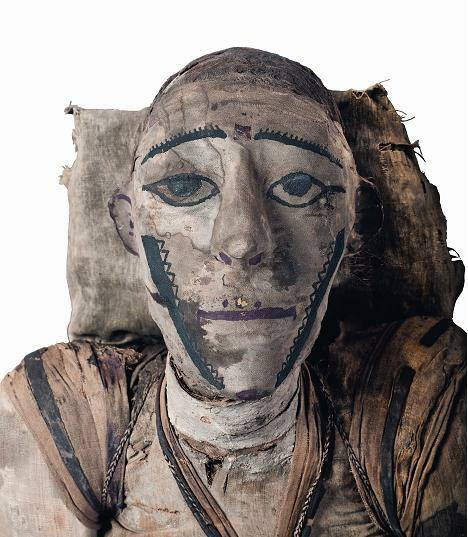 Importantly Taylor & Antoine (2014: 39) highlight that whilst Gebelein Man B was a natural mummification, it should not be noted as a precursor to the artificial mummification that was practiced later. Although re-cutting into a graveyard and noticing the preserved burials may have influenced generations of the population, at all times during the prehistory and historical span of this book people of lower status were buried in simple pits. The long mortuary and funerary rites involved in depositing the dead alongside deeper graves to protect bodies from grave robbing may have been two processes that influence the uptake in artificial mummification of individuals from around 3000 BC onwards. The book does a fantastic job at introducing the importance of mummification to the ancient Egyptian and north Sudan cultures. Today it may seem unusual, and at odds with the Judaeo-Christian-Islamic heritage of depositing a body in the ground as soon as possible mentality, that this was a period of time where it was important that the body was prepared properly, over long periods of time, to maintain the individual identity of the deceased (Vogels 2013: 11). Yet it is an endlessly fascinating period of time that has captured the heart of many archaeologists, Egyptologists, and the general public. Ancient Lives, new Discoveries will, no doubt, do the same. As I read the book, I could not help but wonder if there was some variation within the same period for at least some of these individuals highlighted here. It was a question that went unanswered in this publication, but I did feel that the book highlighted that the archaeology of mummification had much more to offer, especially in the realm of non-invasive imaging. As such the publication is an invigorating read, wrote in a straightforward and easy to read manner that doesn’t skip on explaining the techniques used in the approach to understand the individual mummies skeletal biology, artefacts found with the bodies, and burial or deposition context of the individual. This contextualisation of the individual is a smart approach in being able to engage an audience to understand that these mummies are individuals with their own life history. I did feel that perhaps a larger contextual approach on funerary and burials rites could perhaps elucidate further information on a general population scale, however this was a minor niggle. I was impressed at the use of the clear and precise terminology and the overall style of the publication. The images in particular are clearly and precisely presented, and it is a joy to study the cross sections throughout the book, offering as they do, an unparalleled view of the ancient mummies. 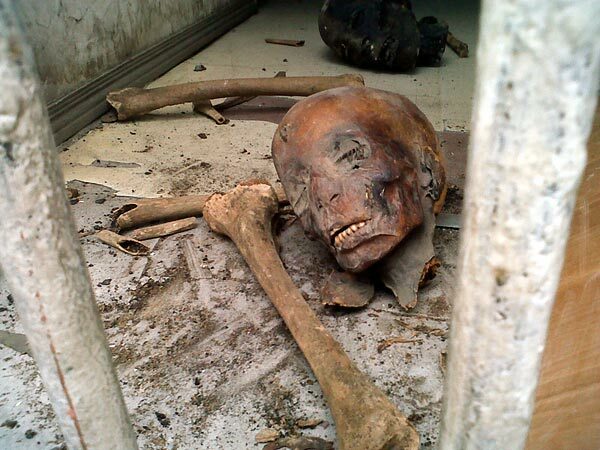 It is wrong, though, to think that the mummification of human remains is something that was done purely in the past. Recent research led, in part, by Buckley & Fletcher (2013: 12) has led to the actual mummification of a recently deceased person to explore the actual embalming chemicals and methodology used by the ancient Egyptians to preserve the body. Alan, who donated his body to archaeological science, has already provided a wealth of knowledge on the actual mortuary process of embalming a human body the ancient Egyptian way by highlighting that a natron salt bath was the most effective way to preserve a body during the act of mummification (Marchant 2011). Yet there are still many mysteries sounding the actual step by step method and role of mummification in the cultures of ancient Egypt and northern Sudan but this publication, and the exhibition at the British Museum, go some way to (digitally) unwrap the secrets that they hold. I thank Hattie Clarke of the British Museum Press for providing the images for this post and for quickly answering any questions that I had. I also thank Loretta Kilroe for providing helpful comments on the archaeology of Egypt and Sudan. A copy of the British Museum publication Ancient Lives, New Discoveries was provided for the author to review. No monetary transaction took place. The Ancient Lives, New Discoveries British Museum exhibition in London, England, is now open to the public until the 30th November 2014 with ticket prices at £10.00 for adults, £8.00 for students and children going free (other discounts are available). Learn more about the 8 individual mummies at the British Museum website here. An enlightening interview with Joann Fletcher and Stephen Buckley, who are both a part of the York Mummy Group, on mummification and the Mummifying Alan project can be found here at The Post Hole journal. The journal Papers in Anthropology, issued under the European Anthropological Association, have a new open access special edition out (Vol. 23 (1) 2014) which focuses exclusively on mummy studies and mummification. Click the title above to learn more. 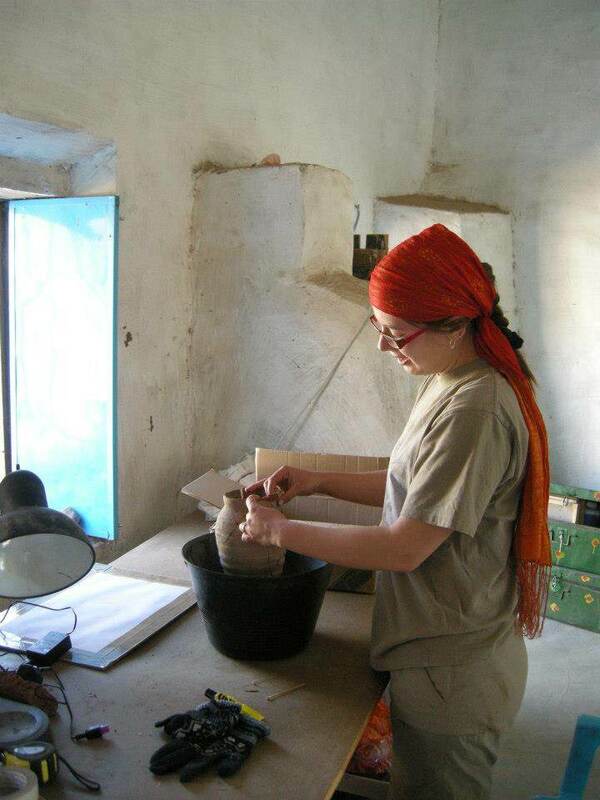 Head over to Loretta Kilroe’s blog, Cake and Ceramics, here to learn more about the daily life of an Egyptologist and to learn about her other projects on the go. Alberti, S. J. M.M., Bienkowski, P., Chapman, M. J. & Drew, R. 2009. Should We Display the Dead? Museum and Society. 7 (3): 133-149. (Open Access). Jones, J., Higham, T. F. G., Oldfield, R., O’Connor, T. P. & Buckley, S.A. 2014. 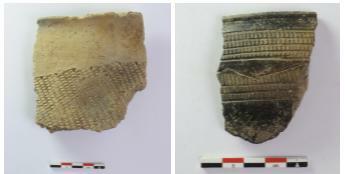 Evidence for Prehistoric Origins of Egyptian Mummification in Late Neolithic Burials. PLoS ONE. 9 (8): e103608. doi:10.1371/journal.pone.0103608. (Open Access). Marchant, J. 2011. Egyptian Mummification Method Resurrected in the UK. New Scientist. Accessed 12th June 2014. (Open Access). Meyers, K. 2014. Review: Ancient Lives, New Discoveries: Fascinating Look Into the Life and Death of Eight Ancient Egyptians. Bones Don’t lie. Accessed 12th June 2014. (Open Access). 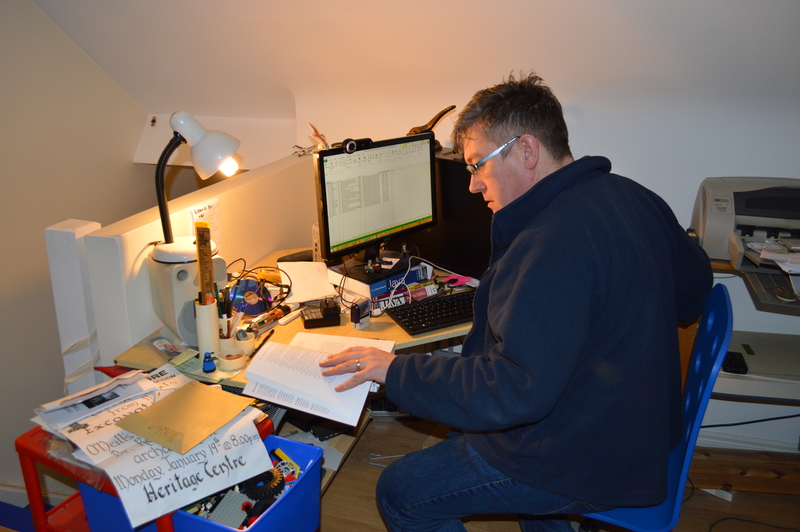 Panzer, S., Peschel, O., Haas-Gebhard, B., Bachmeier, B. E., Pusch, C. M. & Nerlich, A. G. 2014. Reconstructing the Life of an Unknown (ca. 500 Years-Old South American Inca) Mummy – Multidisciplinary Study of a Peruvian Inca Mummy Suggests Severe Chagas Diseas and Ritual Homicide. PLoS One. 9 (2): e89528. (Open Access). Parker-Pearson, M., Chamberlain, A., Craig, O., Marshall, P., Mulville, J., Smith, H., Henery, C., Collins, M., Cook, G., Craig, G., Evans, J., Hiller, J., Montgomery, J., Schwenninger, J-L., Taylor, G. & Wess, T. 2005. 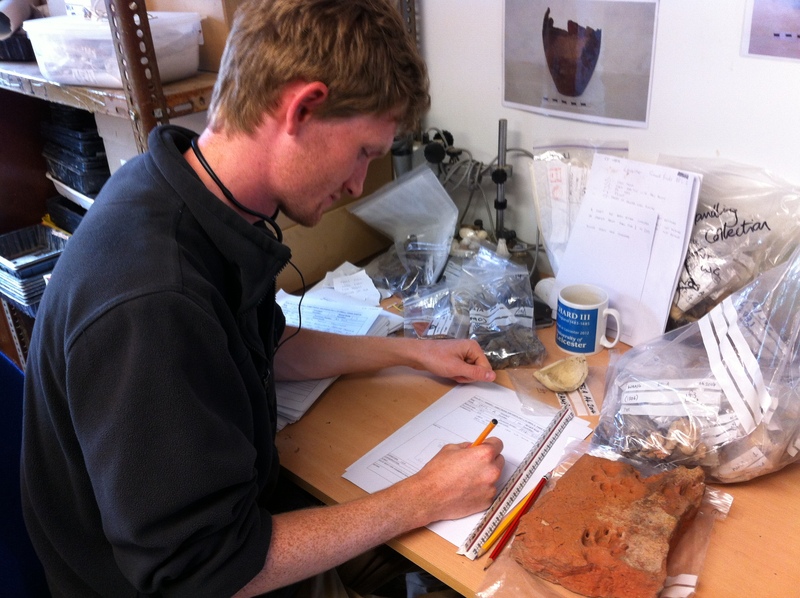 Evidence for Mummification in Bronze Age Britain. Antiquity. 79 (305): 529-546. Taylor, J. H. & Antoine, D. 2014. Ancient Lives, New Discoveries: Eight Mummies, Eight Stories. London: The British Museum Press. Vogels, R. 2013. 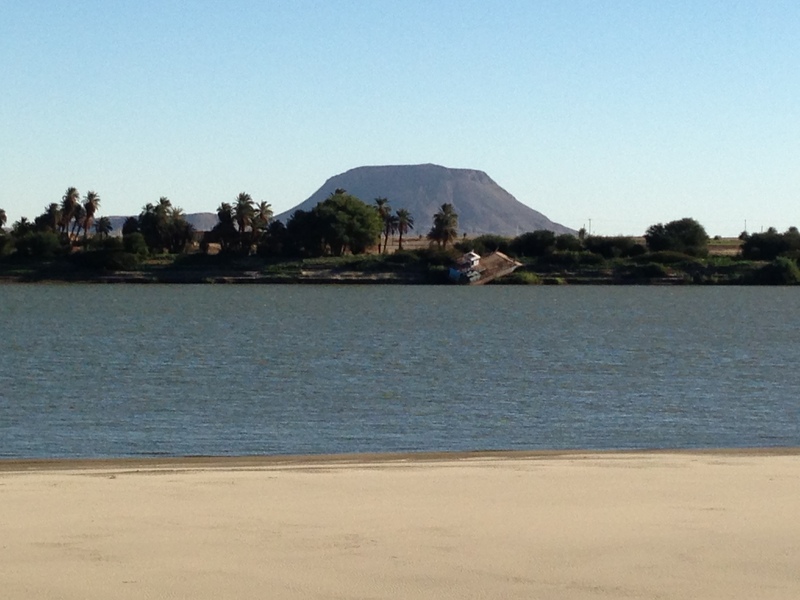 Ancient Egypt: Life and Death in the Valley of the Kings – An Interview with Joann Fletcher and Stephen Buckley. The Post Hole. Special Edition. 1-16. (Open Access). Bone Broke, ran by bioarchaeology PhD student Jess Beck, has some awesome posts on identifying and siding bone fragments. It also has a great vein of humor running through the blog as well as being wonderfully informative and knowledgeable on human osteology and anatomy. 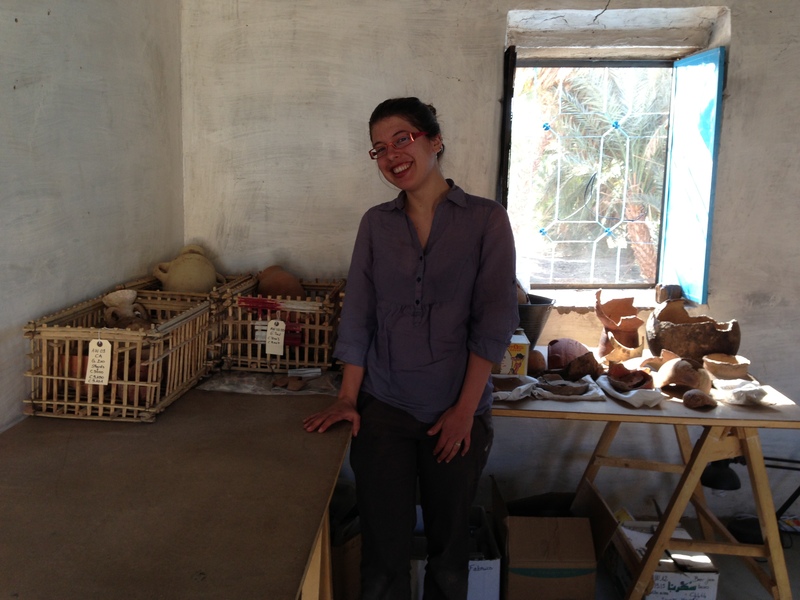 Cakes and Ceramics, a brand new blog ran by Loretta Kilroe, details the adventures of a post-masters pre-PhD Egyptologist living in London. 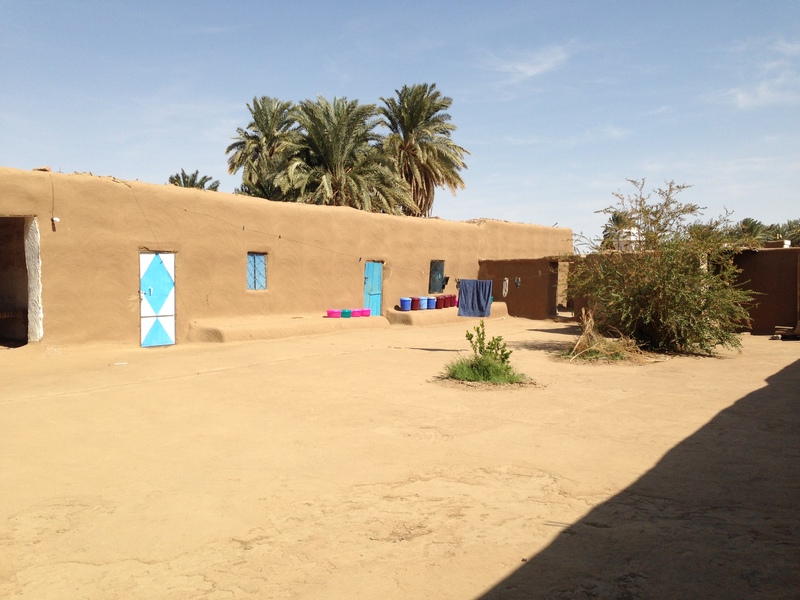 With a research focus on ancient ceramics and excavation experience at the Post-New Kingdom site of Amara West, Sudan, under her belt you can expect some interesting upcoming posts from this blog. 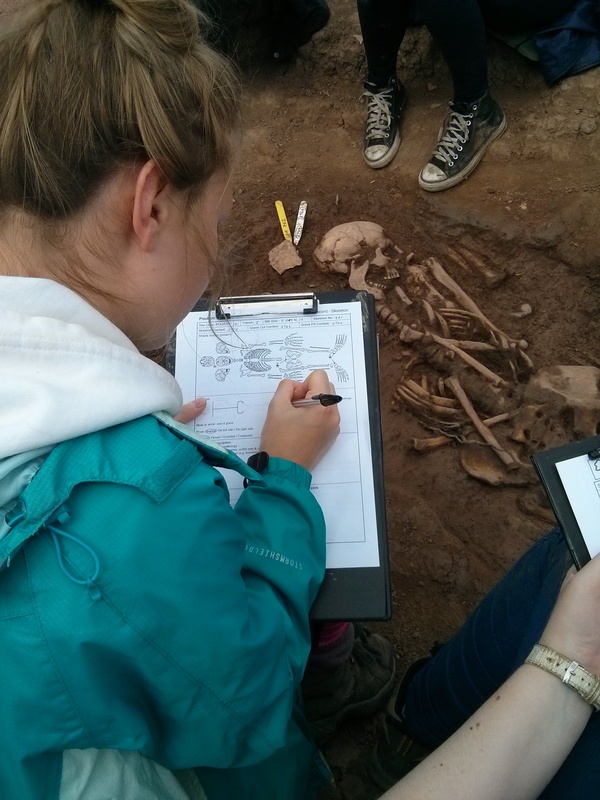 All Things AAFS (archaeology, anthropology and forensic sciences), ran by Rosemary Helen, has some excellent posts split into useful subjects. The Quick Tips series is particularly useful for learning about how to age a human skeleton and identify fracture types. Expect it to be updated with various topics as the site grows. Lawn Chair Anthropology, by the biological anthropology assistant professor Zachary Cofran, is an excellent site for updates on bio-anth, evolution and palaeontology. In particular it is great to see Cofran discuss his own research in human evolution, offer his statistical code for free and regularly highlight free databases. It is not new site by any means having previously been hosted on the Blogger format for a number of years, but it is new to the WordPress format. Over at Spencer Carter’s blog at Microburin he has a great post up which skillfully dissects the recent one day conference held in London on archaeology pay and training. 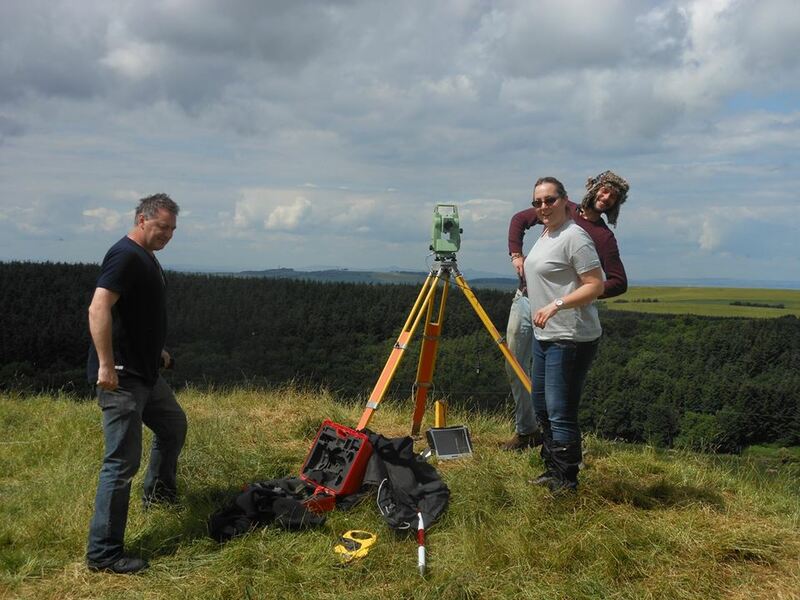 The conference, held by Prospect and The Diggers Forum (part of the IFA), discussed issues relating to pay and performance, the chartership of archaeology, minimum benchmarks for pay and just where archaeology sits as a skilled profession in the UK, amongst many other topics of note. 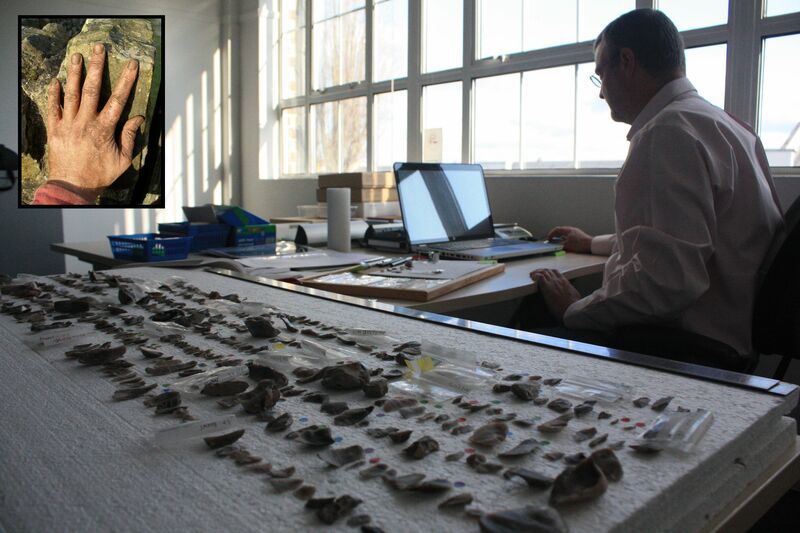 It is well worth reading Spence’s blog entry (here) and my next post but one will discuss some of these issues from a field archaeologist’s view point in the latest ‘interview’ guest entry. 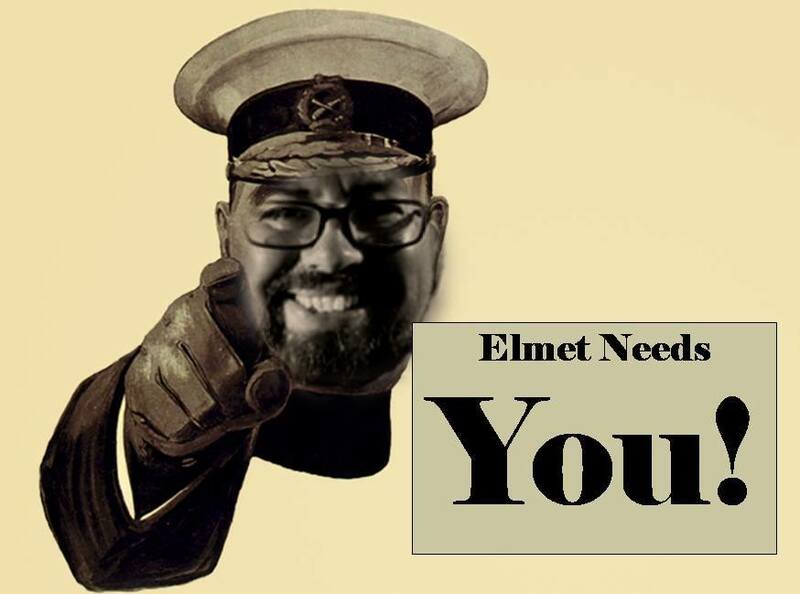 In the mean time enjoy these blog links above, many more can also be found in the blog roll on the bottom left of this site so get digging!